Nvidia's investors can now breathe easy, as the latest fiscal year report shows decent gains throughout 2018. Things are not looking good for gaming GPUs, though, since the report shows sales in this sector were almost halved compared to 2017. Nevertheless, Nvidia keeps an optimistic outlook for 2019, with RTX 2000-series GPUs expected to see increased adoption. 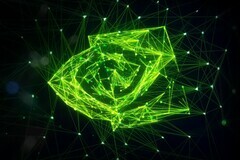 Surprisingly enough, Nvidia’s latest yearly fiscal report showed that the company performed better than previously projected, with 21% increased yearly gains. The last quarter of 2018 brought in US$2.2 billion in revenues, beating expectations and triggering a slight jump for the company’s share prices. However, yearly revenues from gaming GPUs alone are down 45%. Besides the crypto mining decline, Nvidia claims that the low gaming revenues are to be attributed to below expectation sales of the new RTX 2070 / 2080 GPUs. This, in turn, was determined by low adoption due to a small RTX-enabled game selection and high prices for the overclocked versions of the high-end GPUs. CEO Jensen Huang points out that the RTX 2000-series is the first one to launch only with high-end products, as the RTX 2060 mid-range GPUs were released 5 months later. On a more positive note, the green team expects a more profitable 2019. The gaming market should see growth from increased RTX 2000-series adoption thanks to more games supporting real-time ray tracing. Huang is not really concerned with AMD’s Instinct cards, as he expects substantial growth in the data center and AI-driven automotive application markets. Additionally, the Quadro GPUs should bring solid gains in the professional graphics market.